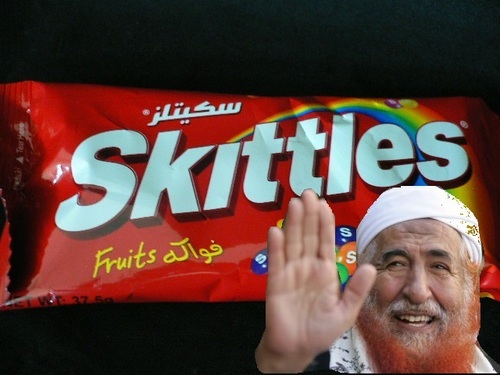 Almere, Netherlands (6:00 P.M. GMT)— Crowds were on hand in Northern Europe this afternoon as news emerged that Skittles had been ruled “Awesome” by the International Supreme Fatwa Commission. 28 year-old Skittles Connoisseur and Blogger Ramsy Ibrahim from Portland, Oregon called the ruling “momentous” from the basement of his mother’s home this afternoon. “Things are looking up for ole Ramsy. No more arrests for giving out Skittles at the nearby playground. It’s just a feeling of complete vindication.” Ramsy is one of only a few Skittles bloggers who has made the crucial link between Skittles suppression and the government’s secret agenda to propagate mind-controlling chocolate.